We are one of the acclaimed Manufacturers and Suppliers of Zinc Oxide in India. 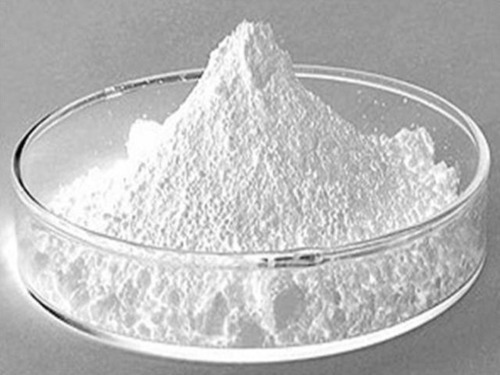 Our Zinc Oxide is widely demanded in the market due to it exceptional physical and chemical properties. Our Zinc Oxide is properly tested in the labs on the parameters of performance and quality standards. Further, you can avail our international standard Zinc Oxide at affordable prices. Established in the year 2014 Bhavani Oxide is one of the leading manufacturer & supplier of a wide range of Zinc Oxides. These are procured form reliable vendors and are widely used. Minerals offered by us are appreciated for their brightness, fineness, cleavage and allied attributes. The finest quality of our products gives us an edge over our competitors. We have an in-house laboratory manned by a team of quality controllers, that regularly conducts a series of quality checks on all our products. Owing to the unsurpassed quality and competitive prices of our range, we have been able to cater to the renowned clients that are spread across the country. Moreover, guidance of our experienced mentor, Mr. BASANTHLAL SAH helps us in attaining a remarkable position in the market. Presently, we are the prominent choice of our clients only because of his supervision, suggestions, risk taking attitude and devotion. We have installed the hi-tech manufacturing & processing machines at our premises, which help us in carrying out the production related activities in accordance with the clients’ exact requirements. To perform all our activities in a systematic order, we have established a multifaceted infrastructure base. The quality analysts strictly monitor every stage of production to ensure that the complete process is in compliance with defined industry standards. Our products are deliver within the stipulated time frame to the clients' destination, further, clients can avail customized solutions from us that too at easy payment options.